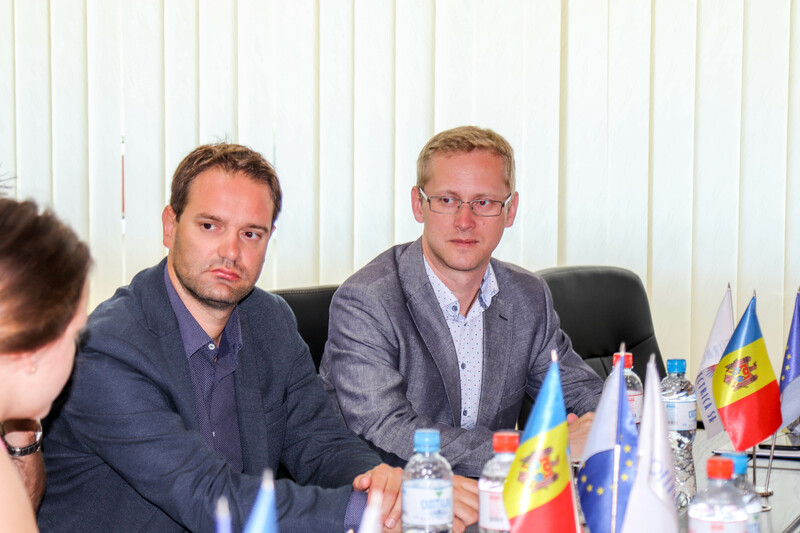 Improving the transparency and financial stability of Moldovan state-owned enterprises by transferring know-how from similarly implemented projects in Slovakia is the main objective pursued by IDIS "Viitorul" and the Institute for Economic and Social Reforms in Slovakia (INEKO) in their new joint project. The project, entitled "Promoting transparency and financial sustainability of regional policies, state – owned enterprises and local authorities in Moldova", is implemented from September 2017 to March 2019 and is financially supported by the Official Development Assistance Program of the Slovak Republic (SlovakAid). 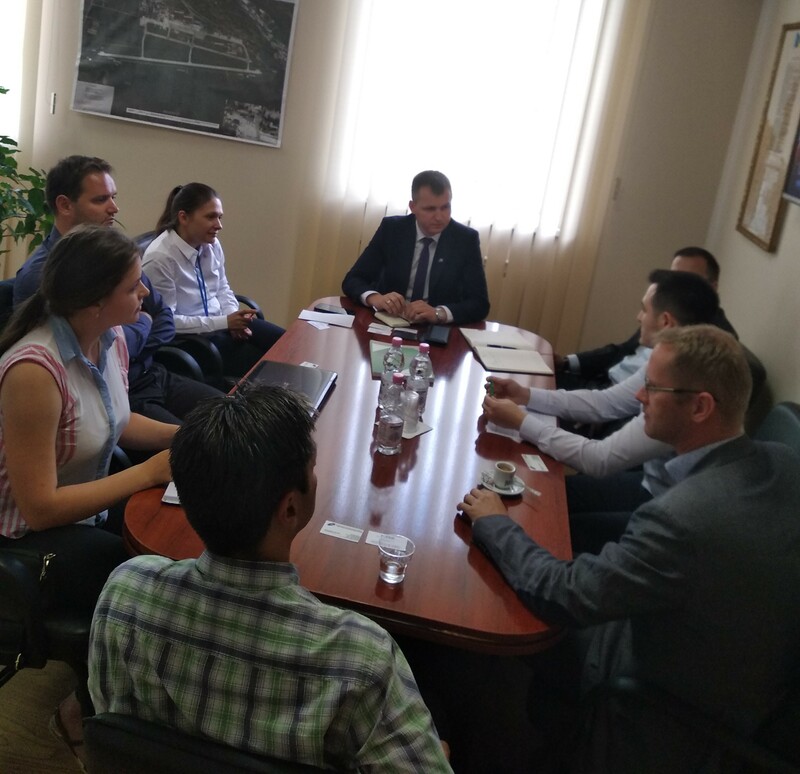 For a better evaluation of the activity of the state-owned enterprises in the country, INEKO's experts, accompanied by Viorel Pârvan, made a study visit to two large companies in the country, namely SA Termoelectrica and Moldatsa. 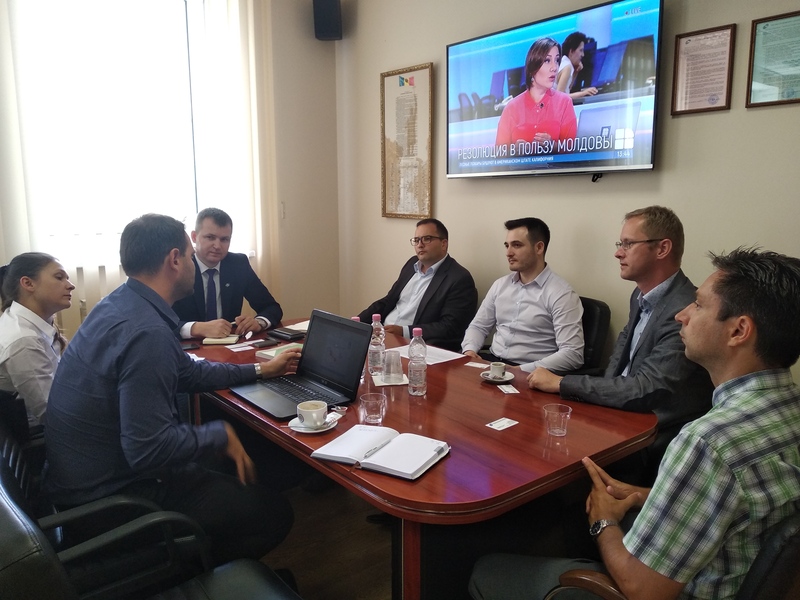 Thus, INEKO Director Peter Golias together with Michal Pisko from Transparency International and Robert Kicina, Member of the Strategic Board, Business Alliance of Slovakia (BAS), learned about the history of their state-owned enterprises, their work, their achievements and their prospects for development. “Both firms welcome the effort to increase transparency of state-owned companies and understand the need to be accountable to Moldovan citizens who are their ultimate owners. We believe that by open information and discussion we can increase the accountability of managers to ordinary citizens. Ultimately, this will lead to higher quality of goods and services provided to customers and a higher standard of living of Moldovan people”, stated Peter Golias, the INEKO director. Therefore, although it ranks 47 out of 50 in the financial sustainability ranking, this is mainly due to the restructuring process and historical debt, which was confirmed by the director, Veaceslav Eni. "The financial health of the enterprise is a matter of management. Between 2015 and 2017, the company made a substantial profit. Last year, for example, we had sales revenue of 2 billion, 389 million lei, 613 million more than in 2014", says Veaceslav Eni. According to him, the company provides with heating services over 5600 buildings, including over 210,000 apartments and supplies to the national energy system about 16% of the total electricity consumption of the country. Following the discussion with the management of SA "Termoeletrica", Robert Kičina was impressed by the modern heating services and the efficient communication with the consumers "I was pleasantly surprised that at this visit focused on the subject of transparency were present all the directors within the institution, have made it clear that transparency involves all the directions of activity of a state-owned company. In comparison, there would have been one or two directors in Slovakia at such a discussion". At the same time, Slovak experts believe that "Termoeletrica" SA needs large investments, especially in old Soviet-era installations, and that the regulatory policy should be adjusted for different consumers. Relatively better financial sustainability is SE. MoldATSA, the second company visited by Slovak experts. Here the guests were familiar with the institution's communication tools and learned that SE. "MoldATSA" is currently modernizing its web page - http://moldatsa.md/, in order to qualitatively inform and be closer to the needs of the public. In this respect, Veaceslav Frunze, the director of the state enterprise, said: "Under the current conditions, the path of a non-transparent enterprise is coming to an end". The company was heavily affected by the annexation of Crimea by Russia in 2014 and the collapse of air traffic over the Black Sea. This led to a 60% decrease in air traffic operated by I.S.MoldATSA, which led the company's management to drastically reduce costs. However, the financial situation has improved and the company is ranked 19th in the ranking of financial sustainability, according to the portal www.companies.viitorul.org. In 2016 the state enterprise registered a profit of 2, 8 million lei. “To have the trust of their customers, the company has to operate according to the international standards of safety, quality, and transparency”, recommends Peter Golias. The management of „MoldATSA” clearly supported the effort of experts both from IDIS and INEKO to compare transparency standards of various state-owned firms in Moldova and expressed their willingness to be among the best. The study visits at Termoelectrica and MoldATSA were held within the initiative „Promoting transparency and financial sustainability of regional policies, state – owned enterprises and local authorities in Moldova", implemented by IDIS "Viitorul", in partnership with the Institute for Economic and Social Reforms in Slovakia (INEKO). The initiative is financially supported by the Official Development Assistance of the Slovak Republic (SlovakAid). It aims to improve the efficiency of the state administration, self-government and civil society in the area of creation and control of regional policies, administration of state-owned enterprises, and monitoring of budgets and information openness of municipalities.